An open circle carries powerful meaning. 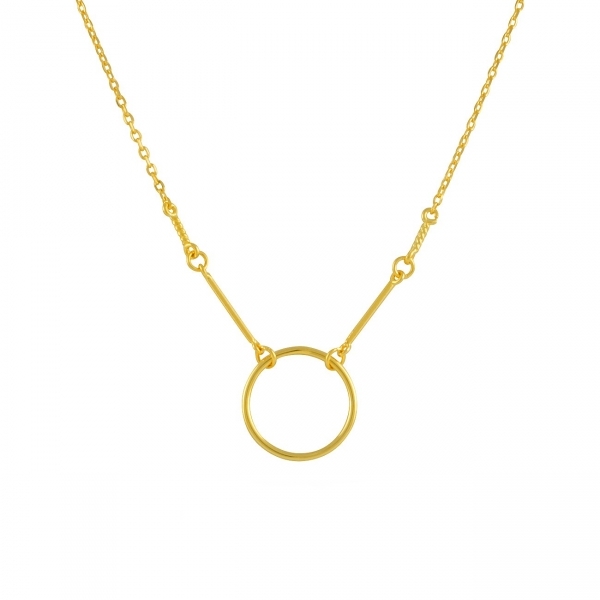 The gold pendant on this necklace is inspired by the circle of karma; tap into your good side only wearing this stylish and spiritual reminder that positive actions are returned through positive occurrences. 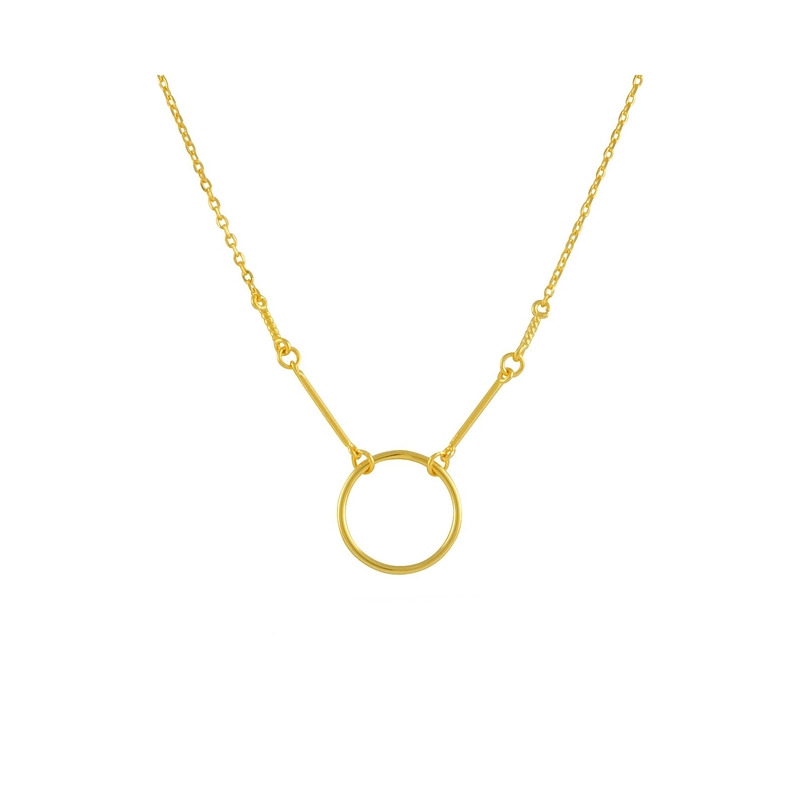 Gold bars connect the ring to the slim delicate chain. Create maximum accessorizing impact by layering with a choker and a long lariat necklace. Made in 18K gold vermeil.